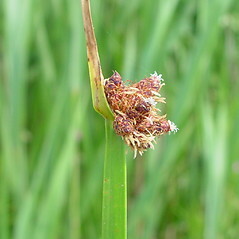 Scirpus amercanus (schoenoplectus-a. ).Arthur Haines.New England Willd Flower Society.gobotany.newenglandwild.org (Accessed 5/2014). Scirpus is a genus of perennial rushes (grass-like herbs), stems more-or-less 3-sided (trigonous), unbranched below the inflorescence. Leaves alternate, 3-ranked, appendages (ligule) present on the junction between the leaf sheath and the blade; blade with a sharp ridge along the underside (abaxially keeled). Bracts subtending the inflorescence 1-3, leaf-like, sometimes appearing as a continuation of the stem. 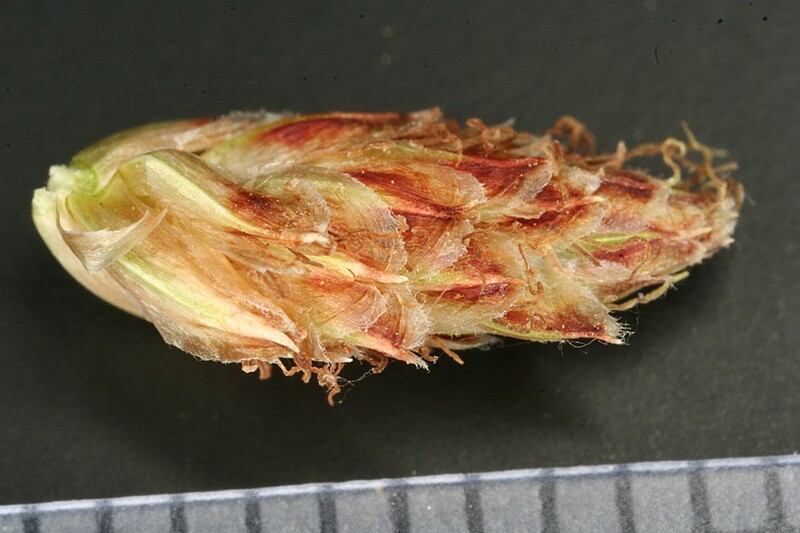 Flower spikelets in dense heads, with a scale subtending each floret, spirally arranged, florets with both stamens and ovary (perfect), petals replaced by 3-6 long bristles or occasionally missing; inflorescences above 3 leaf-like bracts; terminal or also sometimes in upper leaf axils; branched or not. Scirpus americanus.spikelet.Russ Kleinman, Bill Norris, & Denise Friedrick.Vascular Plants of the Gila Wilderness, Western New Mexico University Department of Natural Sciences.twnmu.edu (Accessed 5/2014). Fruit dry, one seeded achene.